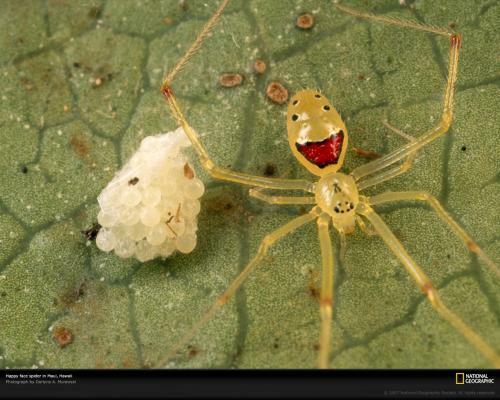 Happy spider is Happy Poisonous. That little fucker can be as happy and/or poisonous as he damn well pleases, I still wouldn’t go within ten feet of it! God how I hate those creepy bastards! He’s only smiling for the camera. Normally he wouldn’t have a happy face on.